My research explores colonial governance in South Asia during the nineteenth and twentieth centuries. I am currently writing a monograph on the means by which the Hindu Temple became object of art historical, archaeological and architectural study during the colonial period. 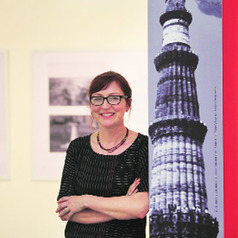 I am very interested in the urban heritage of Delhi and in particular how monuments have been animated by social occupation throughout the twentieth and twenty-first centuries. I am currently editor of South Asian Studies, journal of the British Association of South Asian Studies.